It’s all about the fromage! 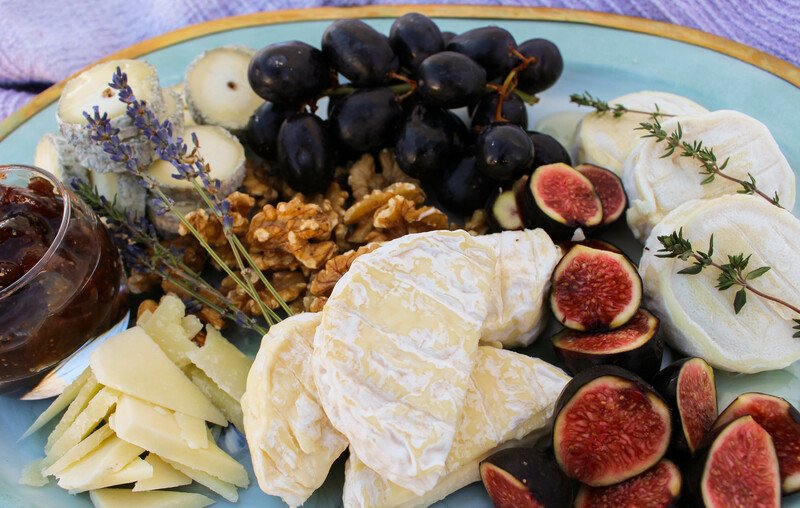 Cheese and French cuisine are synonymous with each other. Historically, most cultures around the world have produced cheese as a way of preserving dairy products, the French have embraced the foodstuff and continued to build on it. France produces some of the most famous cheeses in the world, who has not tried Brie or tasted Roquefort? Anyone familiar with French wine and gastronomy will be familiar with seeing the AOC labels. It stands for Appellation d’Origine Controle, it is a standard which guarantees that the product is from the region and produced under the accepted methods. The geographical, climatic and farming methods are encouraged to celebrate the traditional production methods. As with wine the ‘terroir’ makes a huge difference on the final product, a creamy brie wouldn’t taste the same if it was made in a hot mountainous area. The northern region of Normandy is a massive dairy farming region and alongside its neighbour Brittany is also famed for producing delicious butter. The climate (not dissimilar to Wales) is conducive to growing lush, nutritious grass pastures where the livestock can graze and their creamy milk is turned into soft cheese. Normandy is home to Camembert, Neufchâtel and Pont l’Evêque amongst many more. Moving south you get to the Loire valley, producer of some fine cheeses and plenty of chevre. These are often made in small pieces like the delicious Chabichou and Selles-sur-Cher. This region is known as the garden of France and is home to the most fabulous château and gardens. The landscape is cris-crossed by rivers which irrigate the land and create perfect grazing pastures, and in turn some wonderful cheeses. The east of France is dominated by the Alps. Cheese production here is a way of life and many fans of Alpine winter holidays will be familiar with the strong flavoured hard cheeses that have been developed into delicious mountain specialities. Fondue Savoyarde, a blend of melted mountain cheese has long been debated as to whether it is a Swiss or French dish, for now we can just say it is delicious whether enjoyed either side of the border. Nuggets of baguette are dipped into the luscious pot of melted Beaufort, Compté, Gruyere, Emmental and white wine. Since the rise in winter sports in the 1950s it has become a popular treat with holidaymakers. Raclette cheese is another popular mountain treat, the pungent cheese is melted and served over boiled potatoes and charcuterie. Traditionally the round cheese would be cut in half and the half-moon would be melted by the fireside. Nowadays Raclette machines are a more practical method, the cheese is sliced and melted under a grill in little palettes. Tartiflette, a rich potato gratin which is smothered in Roblechon cheese, was developed by the producers of Roblechon in the 1980’s to promote flagging sales of the locally produced cheese. So popular now Robelchon is one of France’s best-selling cheeses. Central and western France produce some fine blue cheeses and Roquefort is easily one of the most well-known and possibly the oldest. It’s blue veining mould, Penicillium Roqueforti, is found in many French cheeses. Not only is it responsible for the flavour, it also provides these cheeses with their unmistakeable odour. Roquefort was the first French cheese to be granted an AOC in 1925.